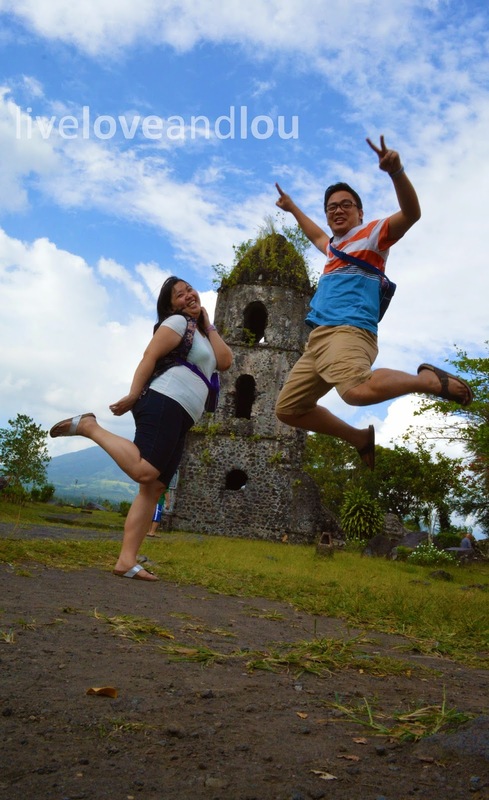 Another thing you can't pass up while in Bicol is visiting the Cagsawa Ruins. 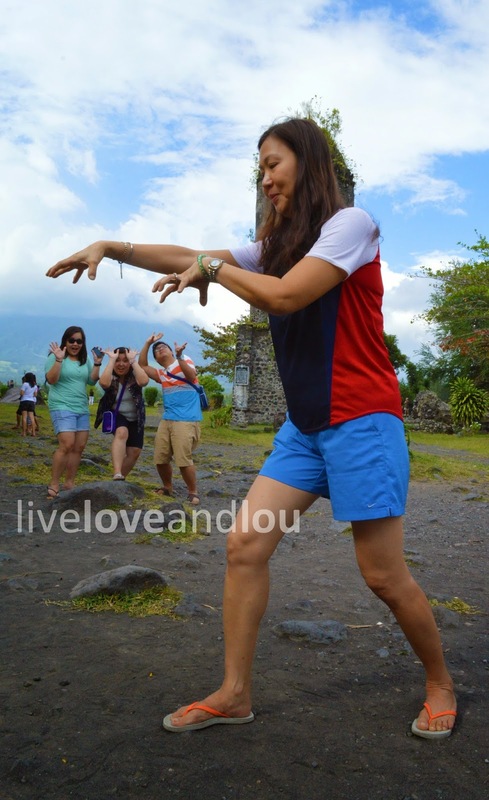 My family and I have been here a few times before and we will always be amazed by the beauty of Mayon. Unfortunately, the Mayon was a tad bit shy, it got cloudy later in the afternoon after our ATV Tour so this was what we got to see. 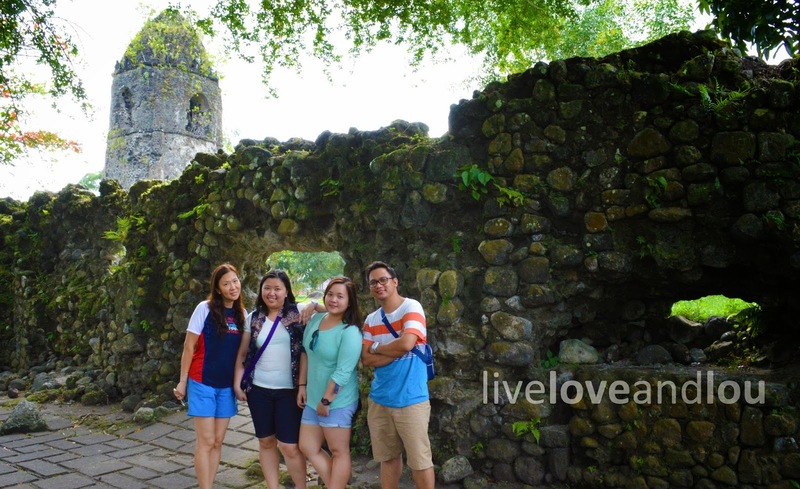 The Cagsawa Ruins (also spelled as Kagsawa or Cagsaua) are the remnants of an 18th-century Franciscan church, the Cagsawa church. 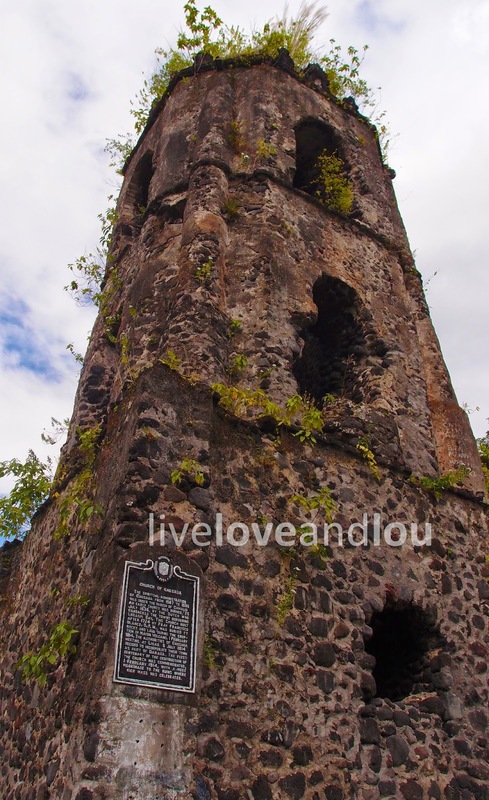 It was built in 1724, but was destroyed by the eruption of the Mayon Volcano in 1814. 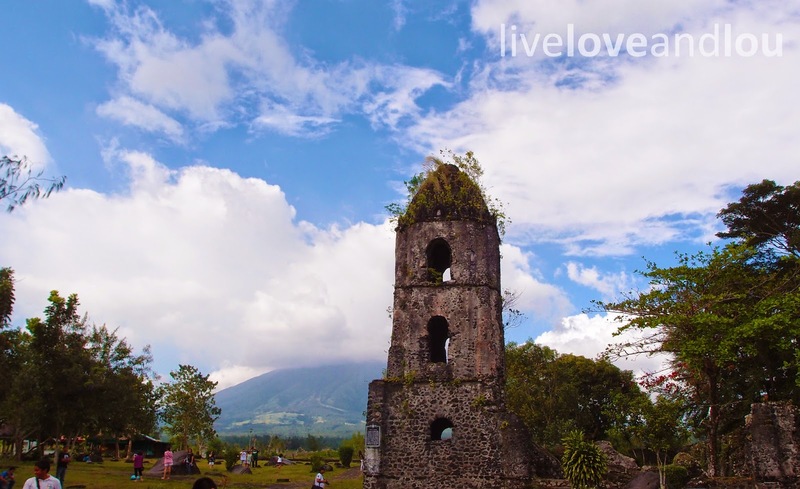 It is located in Barangay Busay, Cagsawa, in the municipality of Daraga, Albay, Philippines. 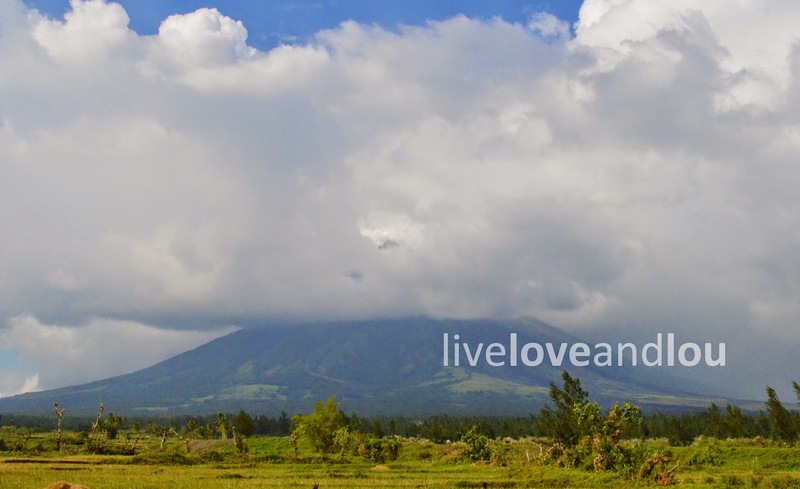 It is now transformed into a park which they say, have the best view of Mayon. Our pictures may not verify that (since we came at a bad time) but I assure you that it does offer the most spectacular view of Bulkang Mayon in different circumstances. 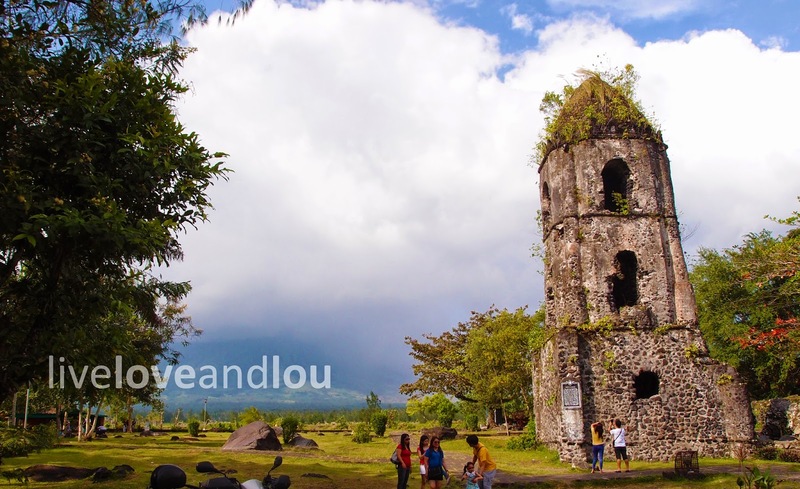 The church was ruined during the 1814 eruption of the Mayon Volcano. Although the bell tower and the facade both survived the eruption; the latter gave out decades after, due to earthquakes that hit the area. 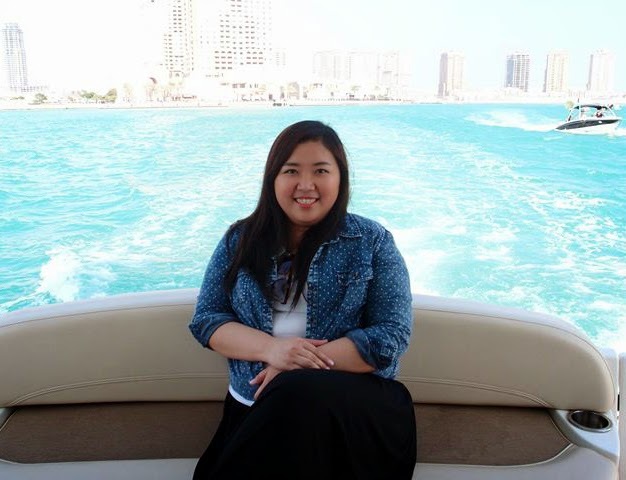 There are a group of tour guides around the park which you can approach and ask to take your photos. Mind you, they are quite good with photo tricks and jumpshots. Heck, they were better with our cameras than us, the so-called owners. 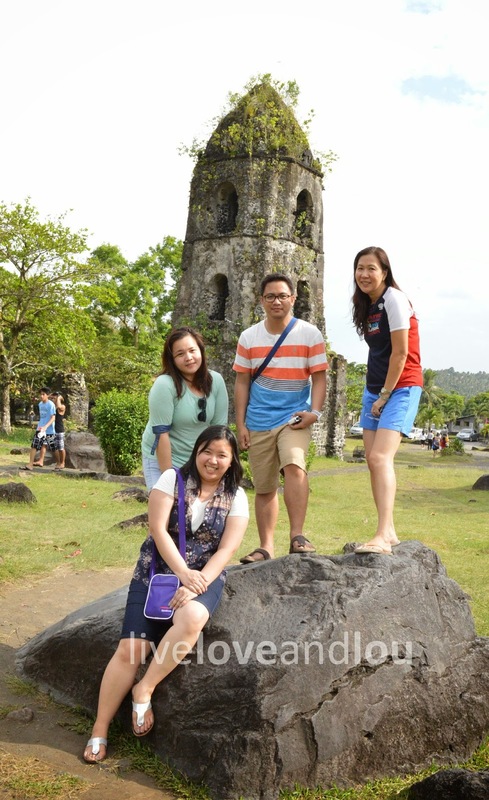 Aside from taking our photos, our guide even gave us a tour around the old church. But as I've said, we've been here a bunch of times, so we knew well enough not to listen to stories about the church being buried in lava. A little bit of research would tell you that it is not true; although the church was ruined, it was not buried. When we were about to leave, the very shy Mayon decided to have us take a peek of its beautiful cone (if you look close enough, you'll see).